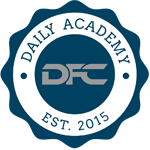 Welcome to the NFL Daily Academy. For me there is no greater DFS sport than the NFL. 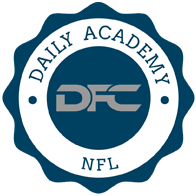 Don't get me wrong, I love the NBA and MLB and the occasional PGA/CFB GPP but the NFL makes the entire DFS year. It attracts more casual users than any other sport which means one thing – more opportunity to profit. That and it's just plain fun to watch/sweat/agonize/cry/celebrate/cuss/high five than any other sport. The groundwork for all your GPP success will start early in the week as you start doing your basic research. I'd like to emphasize one point when it comes to doing research. Ask yourself what you are trying to accomplish. It should come down to one thing – giving yourself an advantage over your opponents. 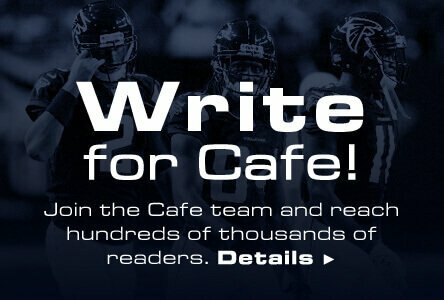 You do this by narrowing down the group of players you are using to build your lineups with solid reasons behind each roster decision you are making. You aren't putting a player in a lineup merely because you think they will play well. You're doing it because your research indicates that they are more than likely going to play well. There is never a guarantee they will play well. Even Andrew Luck and Aaron Rodgers are going to put up duds. But over the long run, your research is going to help you avoid more of those duds than others. Let's take a look at some of the things you should be researching and how you should be applying this gained knowledge to your lineups. Early in the week the odds makers in Las Vegas will release their lines. As many have said before me, the books in Vegas are smarter than us generally speaking when it comes to predicting the outcomes of a game. They have a lot of money riding on it and will want to be as close as possible to the actual result to maximize their profit. We can use their expertise to our advantage and typically we want to look at two things. One, who is favored to win and by how much. Two, what the over/under for the total number of points scored is. Why do we want to know these things? Using the spread and over/under we can come up with an ideal of what type of game will be played. If it's projected to be high scoring and close then it'll usually be a pass-heavy game and we can target the QB's and receivers from that game. If one team is a heavy favorite, then we can target the RB from that team as they'll usually run the ball to protect the lead. If it's projected to be low scoring then we might want to avoid players from that game, except for maybe a workhorse RB or defense. You can also use the lines to help you come up with your projections. Let's say for example that the Green Bay-Dallas game has an over/under of 50 points and Green Bay is favored to win by four. Doing some simple math we know that Green Bay is projected to score 27 points. That's three TD's and two FG's. Not four TD's – we don't round up or down when doing projections. Now where will the Pack's three TD's come from? Let's say we know that Aaron Rodgers accounts for 65% of all Packer TD's. Some more basic math tells us that Rodgers, based on the Vegas lines, is thus projected to score 2.05 TD's. Again, don't round up or down. The fractional values matter. Eddie Lacy accounts for 25% of all Packer TD's which means he would be projected to score .75 TD's. You can do the same calculations for the remaining players on the Packers to get an idea for how many fantasy points they might score via TD's. You can also use Vegas props to help you determine other projected values. Mainly I look at two props and those are total yards for a team/player, and total receptions for a receiver. Using the same math as for TD's, you can come up with a good baseline value before making other adjustments. Will the player play? The reason for this is obvious – if they don't play, they have no value. But there is also a secondary reason. If they don't play, who is taking their place? There is often a lot of value, especially when it comes to backup RB's getting the start, in rostering the player getting the start. If an injured player will play how will the injury impact the performance? Even if a player is playing does it necessarily mean they'll have DFS value. Many times (think Calvin Johnson when he's really dinged up), the player will merely be a decoy. This could mean targeting another player on the team (like Golden Tate for an injured Calvin Johnson) who will benefit as a result of the injury. Any time a player is injured, you want to be careful before rostering them. Yes, it'll be a contrarian play but that means nothing if the player puts up a low score for you. How will the replacement player play? Just because a backup is getting thrust into the starter's spot for the week does it guarantee that they are going to be worth rostering. If the backup RB for the Raiders is getting the start against the Seahawks, it doesn't matter that he costs only ½ of any other starting RB – he's probably not going to get the points you need for him to make value. However, if a replacement is going up against a porous run D, then you are going to want to use him. A lot. Opposing team injuries and how they will have an impact is also something you need to monitor. If the best CB for a team is not going to play, that will likely benefit the WR1 of the team they are facing. If the backup QB for a team is playing, then the opposing defense might be a good team to target. How much a player plays, when they play, and how they are utilized in a game is yet another factor you should be considering. Let's say you are deciding whether to roster a WR and have narrowed it down to two players. Which of the following two would you want to roster? Identical stats in terms of fantasy point production but Player A has one distinct advantage in that he is targeted 2.5 times more than Player B. More targets = more opportunities to score fantasy points. So we want to look at how often a player is touching the football and specifically looking for players who get the most opportunities to do so. Another key thing to evaluate is red zone usage. TD's are king in DFS and we want players who are going to be getting the ball inside the 20 yard line because that's where most TD's come from. One last thing to consider is usage trends. Has a player been getting more snaps the last few weeks than he was earlier in the season? Less snaps? There's usually a reason for this and it's something you want to keep an eye on when making your rosters. We went over this a bit in looking at Vegas lines but basically we want to look at how teams match up against particular aspects when doing our research. A team could be the 8 th best defense in total yards allowed but that's because they get gashed by the run game and teams are controlling the clock. We want to know how teams do against the run and the pass and target players in match ups that favor them. Besides team match ups we also want to see how teams defend particular positional match ups. A team could be one of the worst in the league against the pass but be #2 against TE's meaning we might want to not target the starting TE for that team. Or a team could be #1 against WR1 but #24 against WR2. This usually means they have a shutdown corner blanketing the WR1 and teams are targeting the other side. This is the kind of thing we want to look for and taking advantage of. The impact weather will have on the game. The main thing that impacts a football game more than anything is wind. Wind has a huge effect on throwing (and kicking) the football. Rain will also have an impact on the passing game but it's not nearly as large as people would like to make it out to be (usually the rainy games that turn sloppy also have high winds). Predicting how highly owned players will be. Sometimes you can't help but roster a player. If Odell Beckham is going up against the worst CB in the league, you're going to probably have to roster him in the majority of your lineups. But if your projections have two players very close to one another, determining which of the two will be lower-owned could make the difference between winning a GPP or just making the money. Using the experts to assist you. The best GPP players will do their own analysis and projections but that doesn't mean there isn't value to looking at what others are saying/thinking to help you see if you are on the right path or help you narrow down a tough decision or two. Once you've done all the research, it's time to start building those lineups. How you construct your lineup(s) will depend on how many lineup(s) you'll be entering. The more you enter, the more playing around and risk-taking you can do. The most important part though is trusting your research and going with it. There are going to be weeks where nothing goes right and you're going to want to do something different. Don't fall into that trap. The NFL is a four to five month long season and over the long run if you follow the same process (as long as it's a good process), you're going to likely end up profitable.